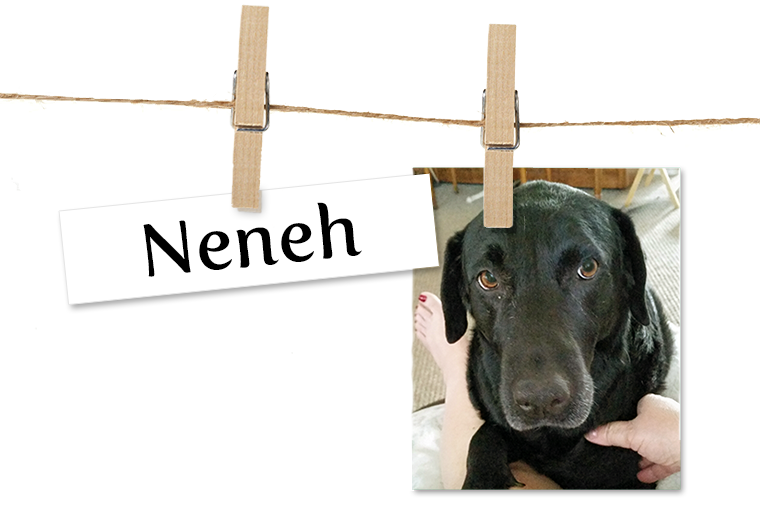 Story Our black lab Neneh has just evolved into my little therapy dog. I have sleep apnea, but when I don’t wear my c-pap & stop breathing, she paws at me till I wake up. I also had a pretty bad accident in early February. I couldn’t walk for about 8 weeks but she followed the wheelchair, then the walker, every where I went! No matter what time of the day or night, she walks right next to me, just a step at a time just like me!! She sleeps right next to me all the time, we just love her so much! !